The Department of Labor (DOL) issued its final rule making changes to Part 541 governing overtime exemptions under the Fair Labor Standards Act (FLSA) on May 18, 2016. The rule was published in the Federal Register on May 23, 2016. See how you can take action now! 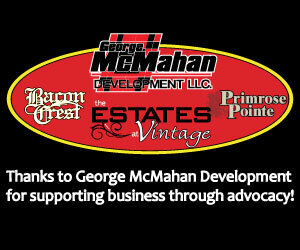 via Partnership to Protect Workplace Opportunity. This threshold doubles the current salary threshold level. While this level is slightly lower than the threshold in the proposed rule, it still encompasses many employees that are currently classified as exempt. PPWO was disappointed that DOL did not offer a more reasonable increase pegged to, as it was in the past, a level designed to identify those employees that are clearly not engaged in exempt-type work, rather than deliberately expanding the number of employees eligible for overtime. DOL reduced the frequency of the automatic increases in response to concerns raised by PPWO and many others. Instead of annual increases, the threshold will be adjusted every 3 years to maintain the level at the 40th percentile of full-time salaried workers in the lowest-wage Census region. Automatically updating the salary threshold, however, does not allow the government to take into account changing economic conditions, specific impact on certain industries, or regional differences. It also denies the public the ability to have input on the threshold as required by the regulatory process. The absence of a duties test change is a significant win for the thousands of stakeholders who expressed concern in this area. DOL made no changes to the standard duties test. We advocated for a longer implementation period than the 60 days suggested in the proposal, and the final rule provides a period of almost 200 days, going into effect on December 1, 2016. Employers in conjunction with their HR professionals should review their current workforce immediately to determine which employees are affected, whether to re-classify those employees or increase salaries to maintain exempt status, and devise a communications strategy. Employers will also want to keep in mind the periodic adjustments and set a regular review process. The final rule increases the salary threshold for HCEs to $134,004, instead of the proposed $122,148. The new regulation retains the methodology in the proposed rule setting the threshold at the 90th percentile of full-time salaried workers nationally. This threshold will also be updated every three years. The Department floated allowing a 10% credit for bonuses or commissions and this is what they included in the final regulation. For employers to credit nondiscretionary bonuses and incentive payments toward a portion of the standard salary level test, however, such payments must be paid on a quarterly or more frequent basis and the employer is “permitted” to make a “catch-up” payment. More specific details of this new development are still unclear. Now that we know what’s in the final regulation, the need for Congress to act is clear. Congress must work to pass legislation to protect nonprofits, local governments, higher education institutions and small businesses. There are currently two bills that would do just that: the Protecting Workplace Advancement and Opportunity Act (S. 2707 and H.R. 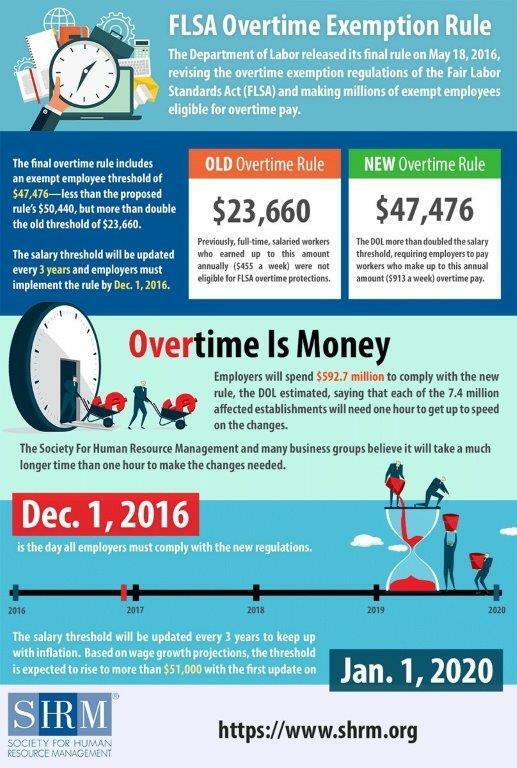 4773) and the Overtime Reform and Enhancement Act (H.R. 5813). S.2707/H.R. 4773 would require the Labor Department to conduct a rigorous economic study on the impact of these changes to our nation’s most vulnerable employers before implementing a change to the exemptions, and H.R. 5813 would phase-in the new salary threshold and prohibit the final rule’s automatic increases to the salary threshold. Click here to learn more about our lawsuit on the new Overtime Rule as well as learn more about our Full Court Press Against Regulatory Overreach.